This Advent we are embarking on an unforgettable journey to experience Hope, Joy, Peace & Love! What an amazing season it is as we journey together toward Christmas. The word advent comes from Latin and roughly means “coming.” So we use these weeks leading up to Christmas as a chance to look forward to our celebration of the arrival of Jesus, the Messiah, the light of the world … our Savior. Advent is a season of great expectation, and I’m inviting you to join us as we embark on a journey (actually as we join in an epic journey that began more than two thousand years ago!) as we follow the Star and discover the Light of the world. It’s a journey of the heart and soul, but it’s also a journey that will realign our expectations and experience of the Christmas season. And it’s a journey that will explore the gifts of Christmas delivered by and through Christ: hope, joy, peace and love. We all need hope in the storms of life and love that never gives up. We need fresh joy on our journey and peace no matter what we’re facing or dealing with. And you probably know someone who needs that too! That’s why we’re making an outreach tool available to you this Advent. The free pamphlet is available in the church lobby, and it introduces the four themes for the weeks of Advent (love, joy, peace and hope), and invites the reader to ponder the true gifts of Christmas. You can use it to invite your friends and family to join you in your journey to Christmas. Our journey centers on the Star as our guiding light. 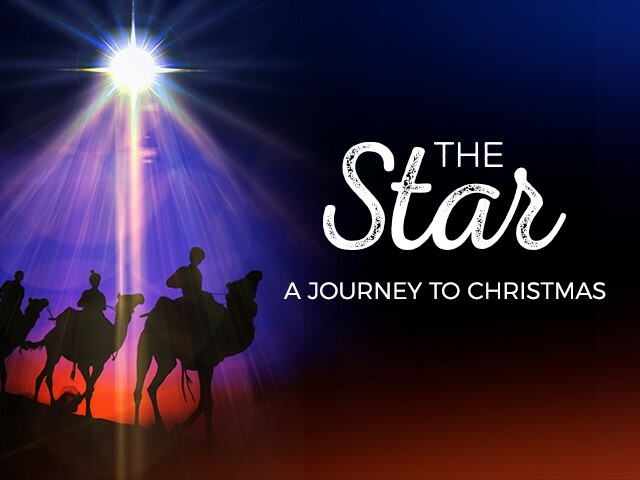 The Star of Bethlehem, that burst through the darkness over two thousand years ago and signaled the long-awaited birth of a Savior, has taken a central place in the Christmas story, but its mention in the Bible is really very brief. The record of wise men from the East who followed a star is only mentioned in Matthew’s Gospel account of Christ’s coming (Matthew 2). And there is much discussion by scholars and scientists about what the Star actually was, who the wise men (Magi) were, and when the cosmic event of its appearance took place. 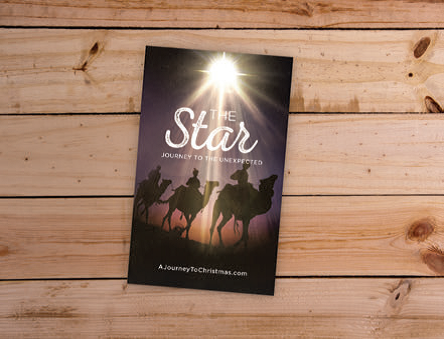 But apart from the debates, there remains the truth that the light of a star led people to Jesus – even if they were still on their journey the night Jesus was born. (Most scholars place the wise men showing up a few months to a year after Jesus’s birth.) And maybe that’s a good metaphor for anyone’s spiritual journey … we don’t always come to Jesus the minute He reveals himself … it’s a process. The Advent season is about the journey as much as the destination. As we’ll explore, it is a time to prepare, maybe to pause and to ponder, to breathe deeply and turn our eyes to the true meaning of this time of year—a season that can seem so hectic and stressful in our culture. Let’s be honest – sometimes the journey of life can get long and difficult. And this busy time of year can pile on more challenges and stress. The good news is – there is hope! No matter where you find yourself today, you are invited into this journey. Will you say yes to the journey? Will you peer through the darkness of your life, no matter what that may be, and look for the Star … a glimmer of hope? Will you journey toward Bethlehem, drawn by hope for the love, joy, and peace that await you? Is that hard for you to imagine? Is your Christmas season overwhelmed already by any number of struggles: financial stresses, relational dysfunctions, loss of a loved one? I think we all have one or the other … But let me encourage you—that’s exactly where hope shines brightest. Christmas can still give us a taste of the most wonderful time of world history. Jesus, the Messiah and Savior, came as the Light into the darkness, stress and pain of the world. And He still shines His Light for us today as He did that first Christmas. He fills our lives’ journeys with hope, love, joy, and peace. Join us this Advent and Christmas at Redeemer. We have much to share with you as we follow our Lord together. I could go on, but I will just say that in all of this, I have learned that fear is a terrible thing on which to base our actions. Fear might be a good indicator that you or I need to search our underlying assumptions and even our motives. But when all is said and done, we should not be acting based on fear. Rather, when we feel that fear is operating in us, we should expose our fears to the light of Scripture, and to the light of God’s Love. It is only then that we can truly see our fears in perspective, and see them for what they really are – human based fears. We are afraid of what others might do, and we are afraid of what we can and can’t protect. But all of these are just that – fears. Once we realize, however, what God has to say about the thing that is causing us fear, and about us when we are facing that fear, then we then gain power to act not out of our fear, but rather out of His Love! Truly, His love has the power to cast out our fears. For if we know who we are and whose we are in God’s Love through Christ, then we know that whatever it is that we fear has no power over us, since Christ has conquered it. So instead we lean on God’s power, and He gives us the strength that we need to stand up in the face of our fears – and to act out of Love rather than in response to fear. In truth, if we are in Christ, what then is there to fear? May God give you strength and peace in the face of anything that is causing you fear. May His Love overpower your fears and cause you to be filled with inexpressible hope. Does Jesus Really Want Us to “Hate” our Family? Q: Does Jesus really ask us to hate our father, mother, wife, kids, brothers an sisters in order to follow him? The Greek word “misei” that is behind the English word which is here translated “hate,” brings up what I believe is an interesting situation that happens occasionally in New Testament Greek. That is that just as we sometimes find it hard to put the right English translation on a Greek word … so did the GREEK have a hard time properly expressing the shade/nuance of a HEBREW word or expression! In other words, the editors recognize that it is possible that this Greek word was used to translate a Hebrew word or expression that had more-or-less the idea of loyalty… putting one thing in priority over the other – rather than disgust or hate. Armed with this information, it’s interesting, because now when we go back to the English, it is easier to understand how even “hating oneself” is to be understood. Because clearly, God doesn’t want us to “hate” ourselves. 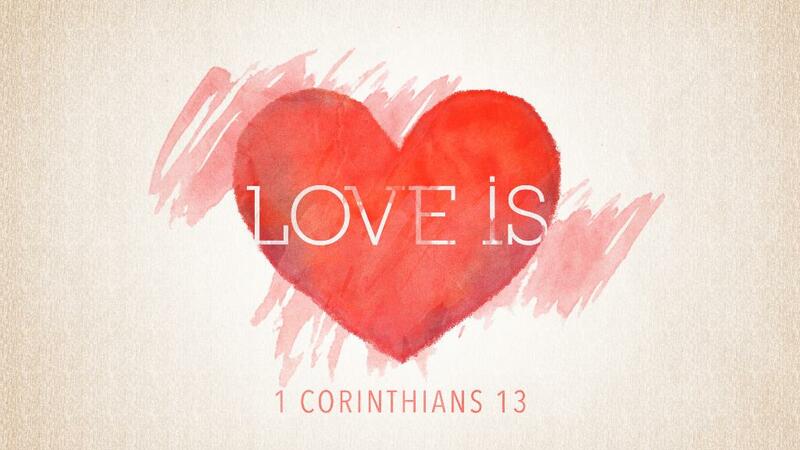 To the contrary, He instructs us to love our neighbor as we love ourselves! And He tells us that GOD loves us – even enough to send His Son to die for us. Why would He want us to detest someone whom He loves enough to allow Jesus to die for? No. He loves those people, and us. Therefore I believe this understanding of the word as simply one of priority/loyalty/preference is the best understanding.